LIBOR stands for London Inter Bank Offered Rate. 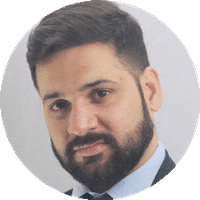 LIBOR is the benchmark/reference for average interest rates – used by the A-Grade banks as “Offer” for lending their funds to the A-Grade banks as unsecured loans in marketable lot in London based interbank transactions. LIBOR rates used to be published since 1986 for the then three main currencies of the world, namely United States Dollar (USD), Great Britain Pound (GBP) and Japanese Yen (JPY) for four different maturity periods of one month, three months, six months and one year. After the merger of currencies of the European nations into Euro, on January 01, 1999, LIBOR rates started to be published for 10 major currencies of the world and for 15 different maturity periods ranging from overnight to 1 week, 2 weeks, and 12 different months. These 10 (Currencies) x 15 (Different Time Periods) = 150 rates used to be published daily at 11.30 A.M. London Time i.e. 5.00 P.M. (Indian Standard Time). The ten constituent currencies of LIBOR used to be USD, GBP, Euro, Swiss Franc, Canadian Dollar, JPY, Danish Krone, Swedish Krona, Australian Dollar and New Zealand Dollar. LIBOR used to be calculated and published by Thomas Reuters on behalf of British Bankers’ Association. The responsibility of LIBOR was handed over to Inter-Continental Exchange on February 01, 2014 administered by ICE Benchmark Administration (IBA). (This was done after detection of scandal in the calculations of LIBOR). Since then it is also called by the name of ICE-LIBOR. Currently it constitutes of five major currencies i.e. CHF (Swiss Franc), EUR (Euro), GBP (Pound Sterling), JPY (Japanese Yen), and USD (US Dollar). The rates are now quoted for overnight, one week, and 1, 2, 3, 6 and 12 months and thus 5 (Constituent Currencies) x 7 (Different Maturity Periods) = 35 ICE-LIBOR rates are published on every business day. Usually, the borrower bank has to pay four to five basis points above the LIBOR. LIBOR is used by different A-Grade banks either for interbank lending of the surplus funds or for interbank borrowing for meeting their short term liquidity requirements. LIBOR has been in use as a reference/benchmark rate by the financial institutions for deciding interest rates for the different financial instruments. The developed countries like Canada, U.K., U.S.A. and Switzerland rely on LIBOR as a reference/benchmark rate. LIBOR is also used by the well-known multinational commercial corporations. A survey is made of the interest rate quotations from 18 major London based global banks on the beginning of every business day in London – at which rate they are willing to “Offer” their funds as unsecured funding to other A-grade borrower banks. Out of the 18 responses, the four highest quoted rates and the four lowest quoted rates are deleted and an Arithmetical Mean is arrived of the remaining 10 responses. MIBOR stands for Mumbai Inter Bank Offered Rate. Like LIBOR, MIBOR is the benchmark for overnight interest rates BUT ONLY for the Indian Rupee (INR) at which banks can lend or borrow funds, in marketable size, from other banks in the Indian interbank money market. MIBOR was launched on June 15, 1998 as “Overnight” rate by Committee for the Development of the Debt Market. Later on, MIBOR started making “Offer” and dealing for 14-days maturity beginning from November 10, 1998. Further, one month and three months maturities were also added to MIBOR on December 1, 1998. In addition to these maturities, w.e.f. June 6, 2008, the offers for the three days’ maturity rates were also commenced on every business Friday (i.e. from Friday to Monday) in collaboration with Fixed Income Money Market and Derivative Association of India (FIMMDA). 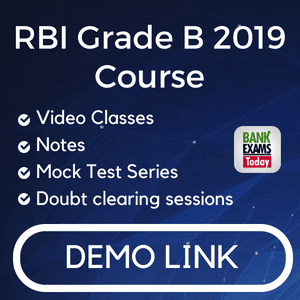 MIBOR used to be calculated daily by the National Stock Exchange of India Limited (NSEIL) by the calculated average of the “Offer” of the lending rates with weighted calculations of the quantum of surplus funds available with the lender banks for lending to the first-class borrowers. Since June 22, 2015 FIMMDA joined the NSEIL for calculating the MIBOR and MIBOR was given the name of “FIMMDA-NSE MIBID/MIBOR”. MIBID stands for Mumbai Inter-bank Bid Rate. “Offer” Rates are obtained on every business day from “30 Offer Makers” comprising of Public Sector Banks, Private Sector Banks, Foreign Banks and the Approved Money Market Dealers and calculated weighted average of the polled rates are displayed on the NSEIL website. It must be noted that MIBOR rates are the “Polled Rates” and not the actual dealing rates. MIBOR is used by different Indian banks either for interbank lending of the surplus funds or for interbank borrowing for meeting their short term liquidity requirements. MIBOR has been in use as a reference/benchmark rate by the financial institutions for deciding interest rates for the different financial instruments like Interest Rate Swaps, Forward Rate Agreements, Floating Rate Debentures and Term Deposits, Loans of different maturities and mortgages, etc. MIBOR is also the benchmark for the Call Money Market Rates. 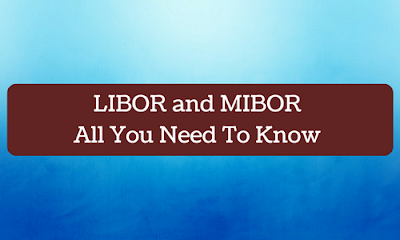 But the volumes of MIBOR are quite meagre as compared with the volumes of LIBOR. Reserve Bank of India has started taking concrete initiative of making the “FIMMDA-NSE MIBID/MIBOR” rates more transparent so that NO LIBOR like scandal should occur in MIBID/MIBOR. Note: Average LIBOR rates closed at 1.70261% p.a. and average MIBOR rates closed at 7.21% on Monday, February 13, 2017.